Forums » Website Feedback » Nanomeets forum unavailable. Not really. There is a problem with Cookie and or Bookmark. I don't at present know what the issue is but, I am looking into it. 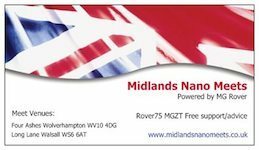 Go to website www.midlandsnanomeets.co.uk and select forum from drop down menu and then create new bookmark.